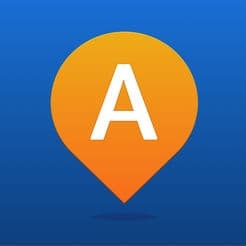 New version of AlphaGuide, the free app of Alphabet Spain developed by Cuatroochenta and available for iOS and Android smartphones. Alphabet is a car rental, fleet management and enterprise mobility company linked to BMW and ING Car Lease. Now it offers in this app a wide range of very useful services to improve mobility for drivers, both combustion and electric vehicles. Besides calculating routes and providing quick and easy access to the geolocation of gas stations, garages, radar or points of interest, the new version of the app includes RutaCam, an exlusive system of Alphabet Spain to visulaize the traffic situation through DGT cameras located at different points in the network of Spanish roads. Route calculator to travel by car in Spain. Check the condition of the roads through DGT cameras. Gas station, charging points and parking locator. Radar warning on the road. Information about savings in CO2 emissions and fuel costs for drivers of electric vehicles. Direct access to exclusive services for Alphabet renting drivers. Points of interest to improve the travel experience and to be informed of the connection with other means of transport.